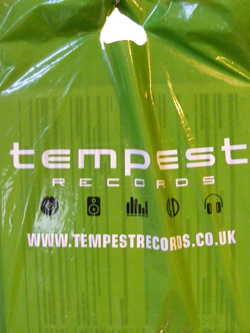 Cash started off in the music industry at the Tempest record store in Birmingham in the mid Seventies. He moved to EMI as a rep in 1978, before starting his first store, Andy Cash Records, in Erdington in 1980. The company grew to three stores at its peak, with Cash becoming a well-known figure in the Midlands and among record company reps. However, the fall in physical sales, particularly among the DJs who made up the bulk of his custom, meant that Cash was forced to cut back, with the last of his three stores closing in 2007. A superb shop on the corner of Bull St. and Corporation Street if I recall correctly. They stocked some of the more obscure rock stuff, especially in the basement – there was an import section. Comment: Paul Taylor.